The article published in Implants, International Magazine of Oral Implantology (Vol. 16, Issue 03/2015) describes a customized mandibular implant with a special three-segmented design. The challenges, designing solution and fabrication procedure are thoroughly discussed. This article published in Journal of Dental Education (January 2013, Vol. 77 no. 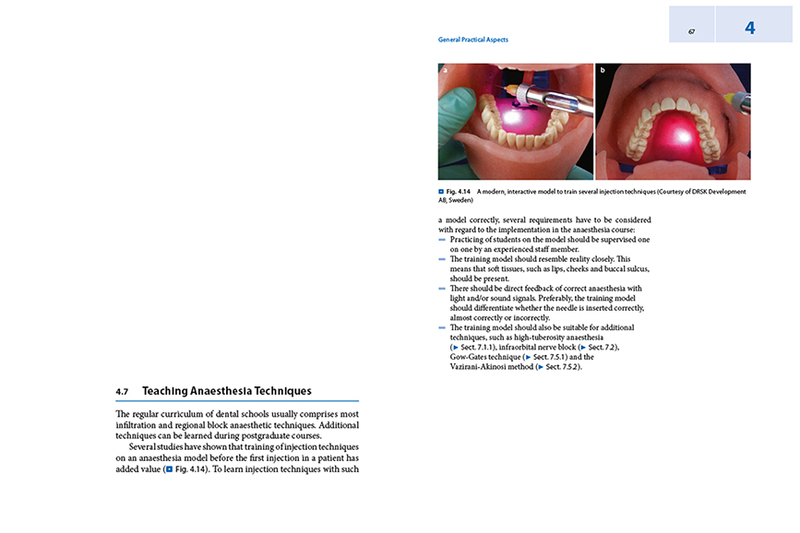 1) gives an overview of a study carried out on using DRSK anesthesia in a dental school for training dental students. Feedback from both the students and their instructors was recorded and summarized. DRSK Anesthesia™ has been referenced in the second English edition of “Local Anesthesia in Dentistry” written by well-known figures of Dental Anesthesia in Europe, Dr. Jacques Baart, oral and maxillofacial surgeon and Dr. Henk Brand from Free University medical centre/ACTA, Amsterdam.